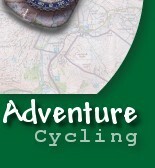 Your guide, Steve, is an experienced off-road cyclist and organiser of outdoor activity holidays. As well as holding an Association of British Cycling Coaches license Steve is also qualified via the Mountain Bike Instructors Award Scheme which is recognised and endorsed by the Adventurous Activities Licensing Authority and accredited by The Urban Adventure Support Group, the Cyclists Touring Club and the Association of British Cycle Coaches. Having cycled extensively in the Lake District and other areas of Britain as well as abroad Steve has also organised climbing holidays in Spain, Cyprus and Majorca as well as climbing and walking in Africa and Australia. Steve has brought his cycling and organisational skills along with his knowledge of the Lake District to ensure that you have the Adventure Cycling holiday of a lifetime. Steve also holds and emergency first aid certificate recognised by the Health and Safety Executive.